The neighborhood of Hatfield, around the University of Pretoria, has been amazingly quiet for a week – most students have already gone home for the Christmas holidays. I stroll around the smallish market close to the mall, not looking for anything really. 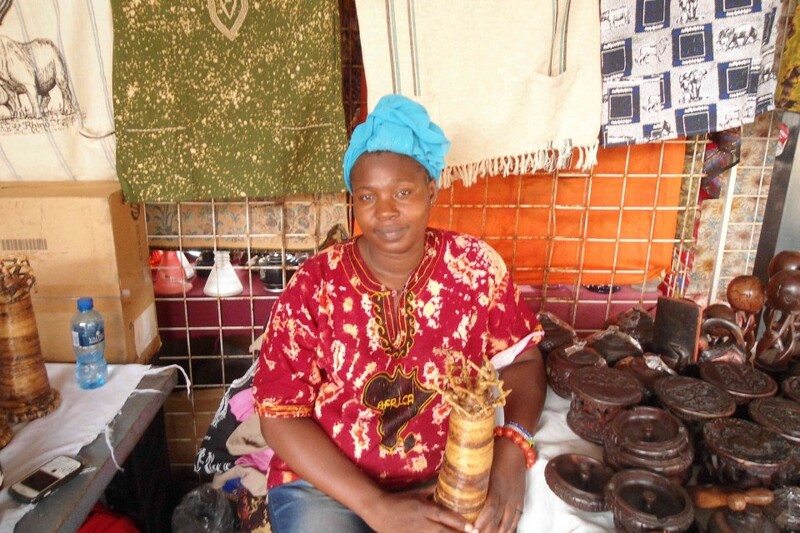 On the stalls lays a selection of craft works from all over Africa. At least, that’s what I learn from Lea. Since I had overheard some French, I greet her with a “bonjour, comment ça va?”. She is from Lumbumbashi, in Congo. 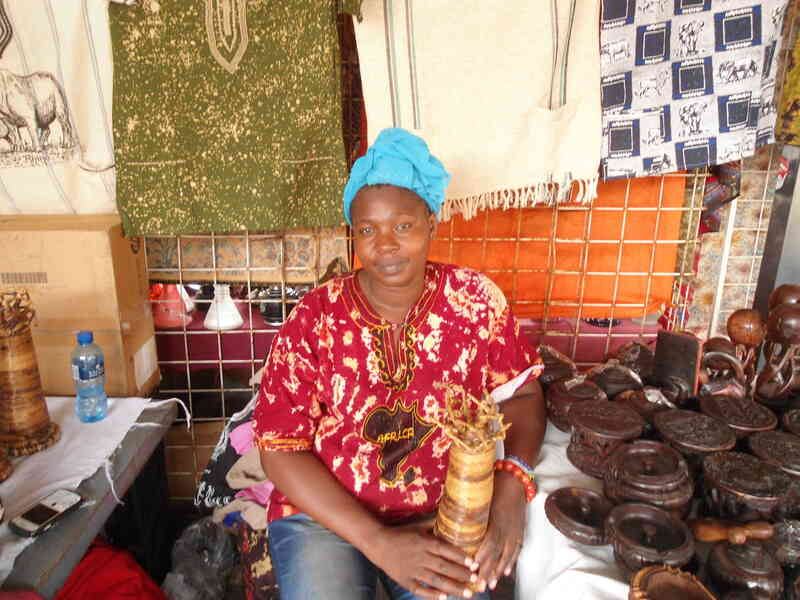 Today will be her last day this year at the market. She will come back in January. For now, as I said, everyone has left home. Is she not going home herself? No, she is not going home this year. She will try to go home and see everybody in Congo, next year. “There is no way. It’s not easy. We’re just trying. “But for the holidays…where are you going to spend them? Here? “Yes, where do you want me to go? There is no money. By the way, where is Lumbumbashi? This is an opportunity for me to show how bad my geography of Africa really is. I am not missing it. “No, it’s in the South. Near Zambia. I browse through the masks she is selling, and the clothes and the bracelets. Nice stuff. 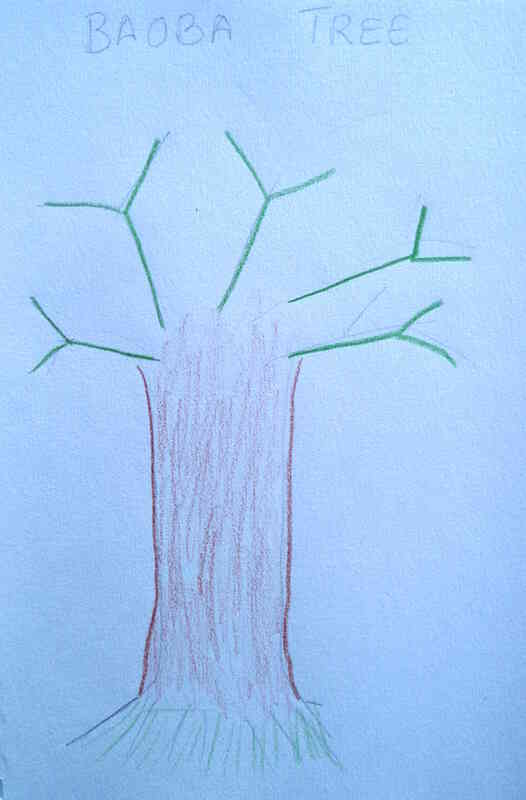 Oh, and there are even some baobabs… miniature ones. That’s what she decides to draw when I hand her the pencils. Are there even baobab trees in South Africa? Yes, there are. Well, not in Pretoria, but outside, when you enter South Africa, there are lots of baobab trees. Lea says life is not easy here in South Africa, but where is it easy anyway? She’d like to travel more, staying in one place is not for her. Actually, she’d like to go to Ivory Coast. She’s never been.